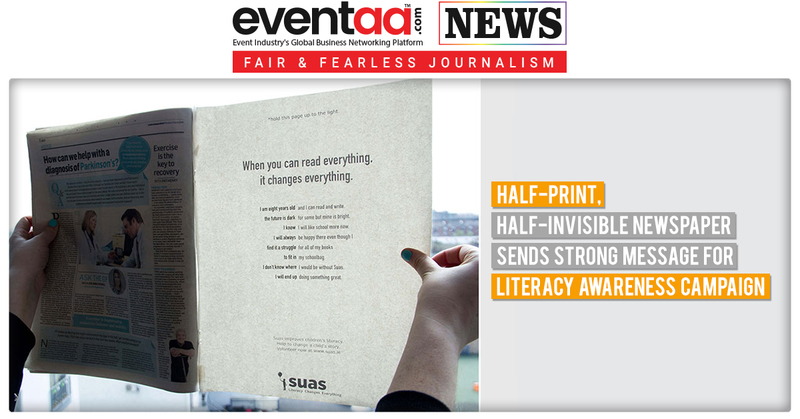 Half-print, half-Invisible newspaper campaign for literacy charity sent a strong message ‘when you can read everything, it changes everything’. The two-sided newspaper ad contains a story, half of which is printed on one page and the other half is printed on the back. 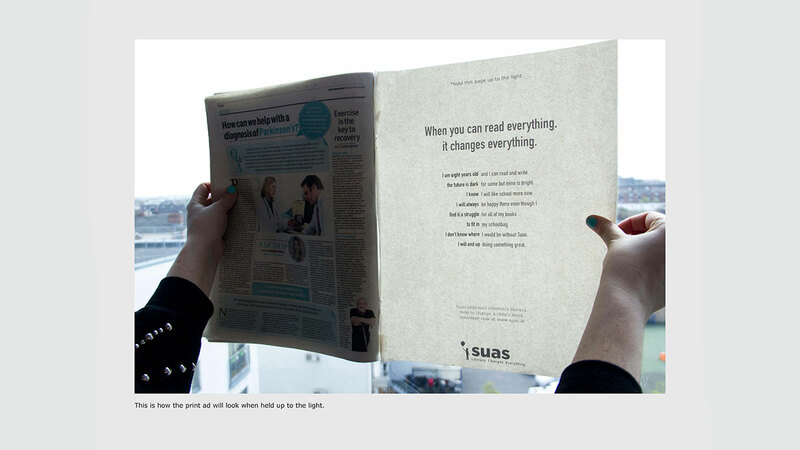 By holding the page up to the light, main message appears. The campaign, developed by Cannes Young Lions winners and creative duo, Emily Blaney and Niamh Ryan. The campaign was an effort to feel the struggle of an illiterate child in front of the literate. 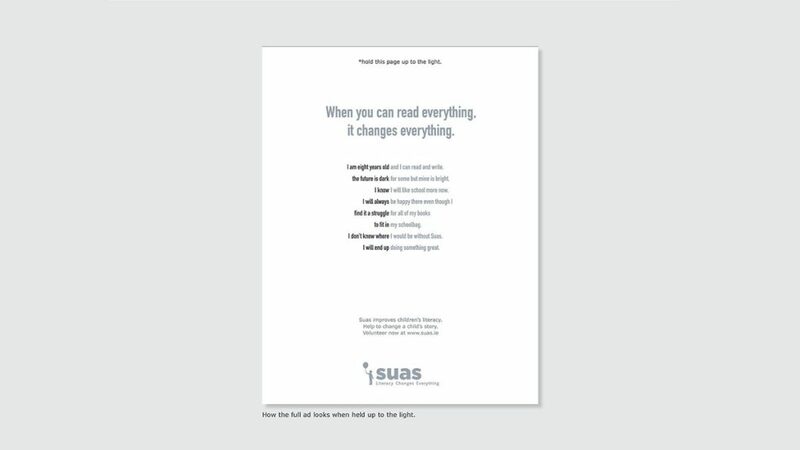 The campaign ran in The Irish Independent, The Herald, The Sunday World, and Living Magazine.